A Diwali treat from the famous audio systems maker Bose for Indian audiophiles. Bose has introduced not one but three new sound devices called SoundTouch Wi-Fi Music Systems. The beauty of these systems is that they let you stream music wirelessly in any room of your residence without the elaborate and messy wiring. Whats more, the system lets you play the music from internet or from your stored music collection from any of the room you wish via a press of a button. 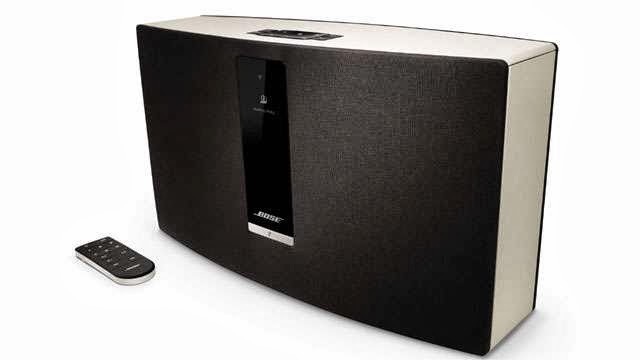 Bose today announced the launch of three one-piece systems – the SoundTouch 30 Wi-Fi, SoundTouch 20 Wi-Fi as well as the SoundTouch Portable Wi-Fi. Each of these SoundTouch systems connects directly to the Internet using your Wi-Fi network. While the SoundTouch 30 Wi-Fi and SoundTouch 20 Wi-Fi are electrically operated through a plug socked, the SoundTouch Portable Wi-Fi comes with a rechargeable lithium-ion battery. Dimensions wise, the SoundTouch 30 Wi-Fi is the biggest and measures approximately 10x17x7-inches and offers wave guide technology and a new proprietary woofer to deliver enhanced sound. It could well serve as the home’s main music system, according to the company. The next one, SoundTouch 20 Wi-Fi system that is more compact and measures 7x12x4-inches. While the SoundTouch Portabe Wi-Fi system measures 6x10x3-inches and you can take it across any room you want. These systems will offer streaming music at the touch of a button on the remote or an App. 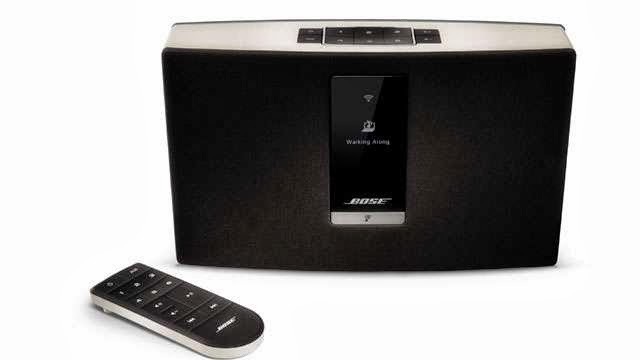 Bose has released Apps for the SoundTouch Music systems for Android, iOS, Windows and Mac OS. Featured in the package are six presets on the system or the remote itself that can be personalised to an Internet radio station, a music service channel or a stored playlist and can be selected with a simple press of a button. You can also use your smartphone, tablet or computers to control, browse, discover content and operate these systems. The company will also offer the SoundTouch controller, an accessory premium controller that works with any of these systems. It features a circular design, volume dial and proximity sensor as well as an OLED preset preview. The systems are also compatible with Apple AirPlay so you can directly stream and listen to your music on the iPad, iPhone or iPod. The Bose sound equipments which give you quality sound are never easy on the pockets. Therefore SoundTouch 30 system will be sold for Rs 52,763.00, while the SoundTouch 20 system and the SoundTouch Portable system will set you back Rs 32,512.00. All the new systems will be available by mid-November 2013 through Bose retail stores and the company website.